Your bedside table is the spawn of boredom and urgently needs a highlight far away from the alarm clock and evening book reading? This cat is guaranteed not to sneak out at night and does not need any food – the nocturnal LED cat. 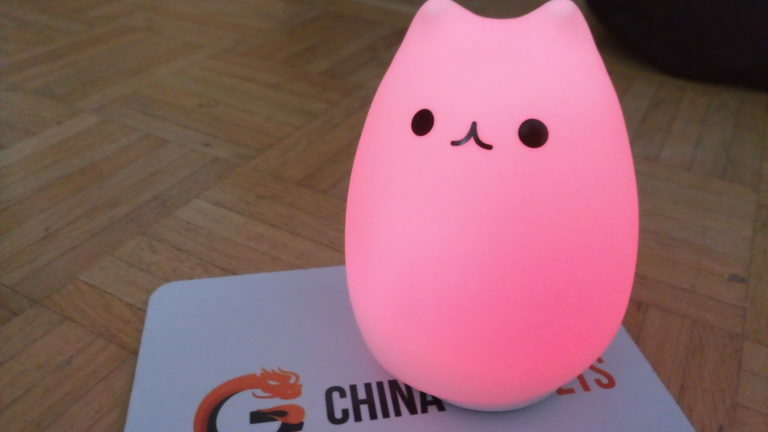 Whether it is a cat or a tomcat, everyone can decide for himself, one thing is certain: he/she consists of plastic and silicone and is fed with a 1200 mAh battery. This keeps the purring lamp alive for 15 hours and although cats have nine lives, it is guaranteed to recharge even more often. Since it is fed only with power via the supplied USB cable and not with expensive cat food, it weighs only 311 grams. Not only for cat hair allergy sufferers a decoration eye-catcher, also dog owners can realize so the dream of the second domestic animal.